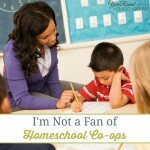 Homeschooling elementary students is a lot of fun! Once they’ve learned how to read and write, it makes tackling subjects like literature, science and history easier and more fun. As you begin planning to homeschool your children in elementary grades, there are a lot of free and frugal options that you can use along the way. 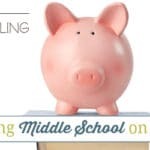 These Free Elementary Homeschool Curriculum options can keep you from breaking the bank! As a frugal homeschool mom I spend time looking for free curriculum options each year before I make any purchases. I’ve discovered some amazing resources that both my children and I have thoroughly enjoyed by doing so. I’ve been able to homeschool for free many times because I did took time to research. If you’re still looking for the right resources for your homeschool year, I encourage you to check out these free elementary homeschool curriculum options. You might find just what you’re looking for and save money too! An all-in-one elementary homeschool curriculum’s lesson plans that are online, but it does have printables for you to print as well. It uses only free resources to cover reading, writing, grammar, spelling, vocabulary, math, history/social studies/geography, science, Spanish, Bible, computer, music, art, PE/health, and logic. This one year unit study based curriculum teaches nearly every subject with a mission based focus. You’ll need to add a math curriculum to this resource for a complete homeschool year. Each year is broken down into 36 weeks of lesson plans that feature activities, games, blackline resources, material lists and more. This math curriculum resource is broken down into 36 weeks of lesson plans that include activities, games, blackline resources, material lists and more. There are thousands of free interactive math lessons for your students to use with unlimited practice. The immediate feedback provided helps to build confidence and prevents incorrect learning methods. They provide free elementary math lessons for your students to use. As your kids get older there are more free lessons covering history, science, computing, engineering, etc. There are free lessons for math and reading for your elementary students to use for practice. They do offer a paid version of their site with more resources if you find that this program works well for your kids. With over 400 free elementary grammar lessons this is a great resource for your homeschool! They do offer a print and ebook option if you’d prefer to have a physical resource. A simple sign up gives you access to a free PDF that includes free lesson plans and a study guide to teach American History to your elementary students. This American History curriculum is geared towards your 2nd-6th grade students and uses a literature approach to teaching. You’ll find a daily schedule, book lists, study guides and much more for you to use with your kids. Magic School Bus provides fun ways to teach science to your elementary students. These free unit studies are based on the books and cover Biology, Animal Science, Chemistry, Human Anatomy and much more! The student and parent copies of this elementary science course are available for free as PDFs. You can download them by chapter or or units. There are several other science curricula options available for purchase if you like this resource. This free science curriculum is broken down into 6 different units that include lesson plans and student workbook PDFs. Teach history, science, geography, art, music, math and language arts with these music based unit studies. There are unit studies for Peter and the Wolf, Swan Lake, The Nutcracker, Handel and more! This free geography curriculum is part of Project Gutenberg. It is broken down into 45 lessons covering subjects such as; wind, sun, flowers, seasons, rivers, maps and much more! 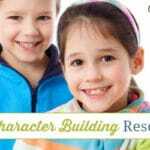 What are your favorite free elementary homeschool curriculum and/or resources? P.S. Discover more free homeschooling resources here –> Free Preschool Homeschool Curriculum, Free Kindergarten Homeschool Curriculum, Free Elementary Homeschool Curriculum, Free Middle School Homeschool Curriculum and Free High School Homeschool Curriculum.